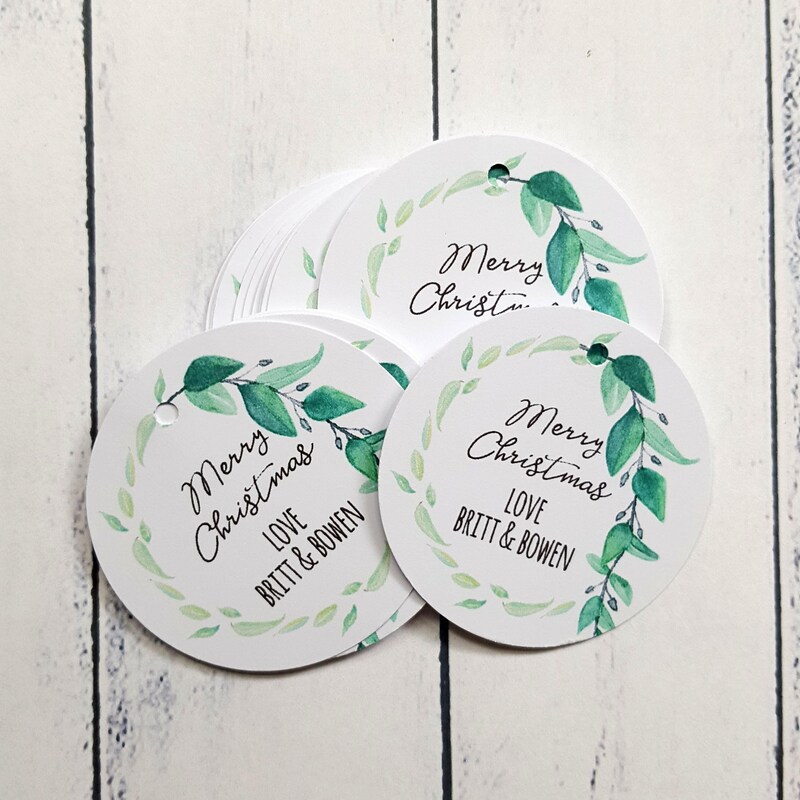 Planning a Botanical Christmas? 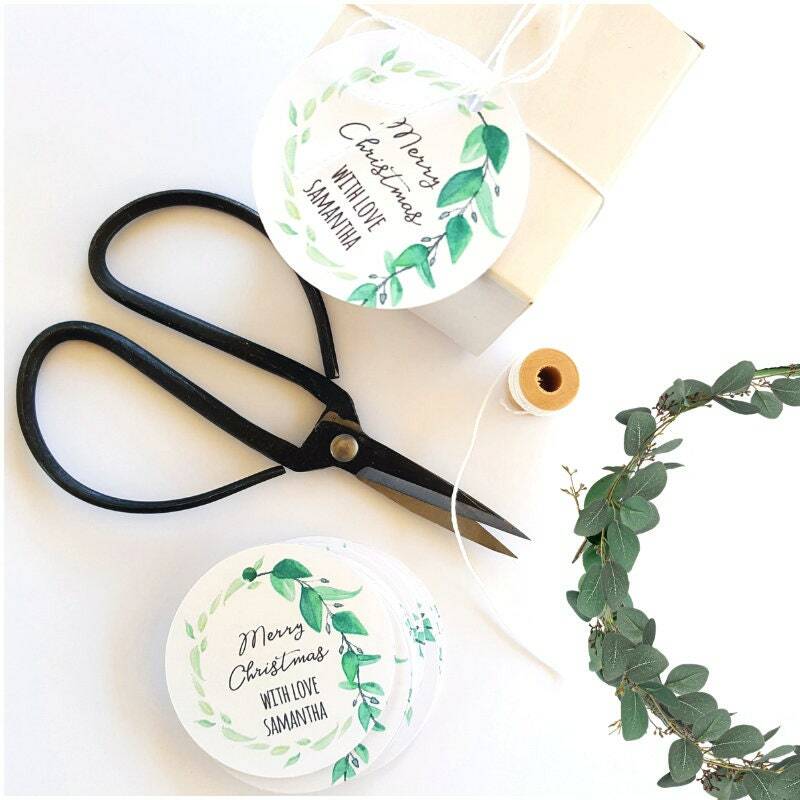 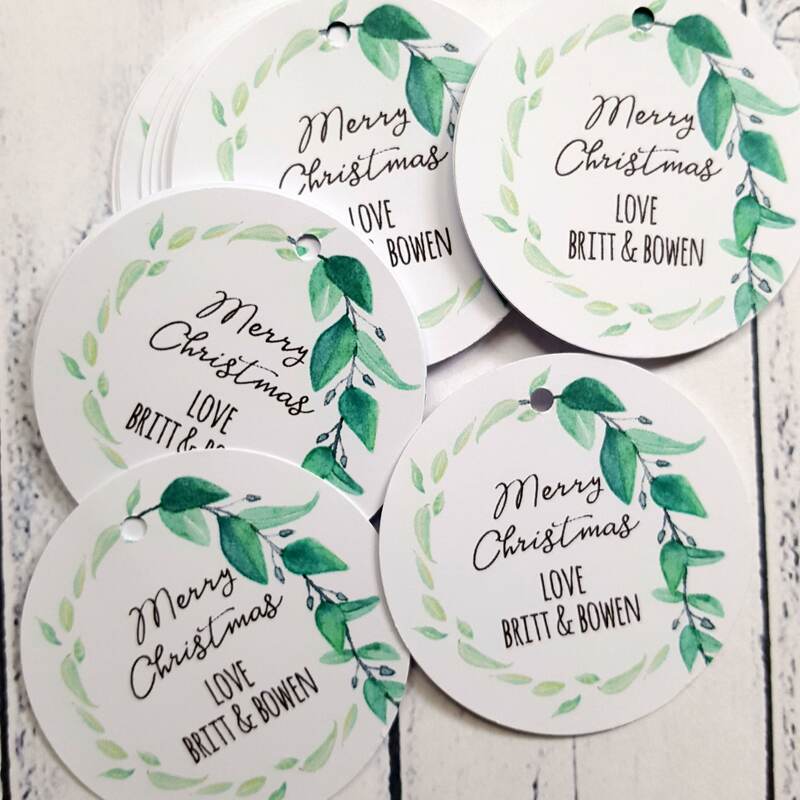 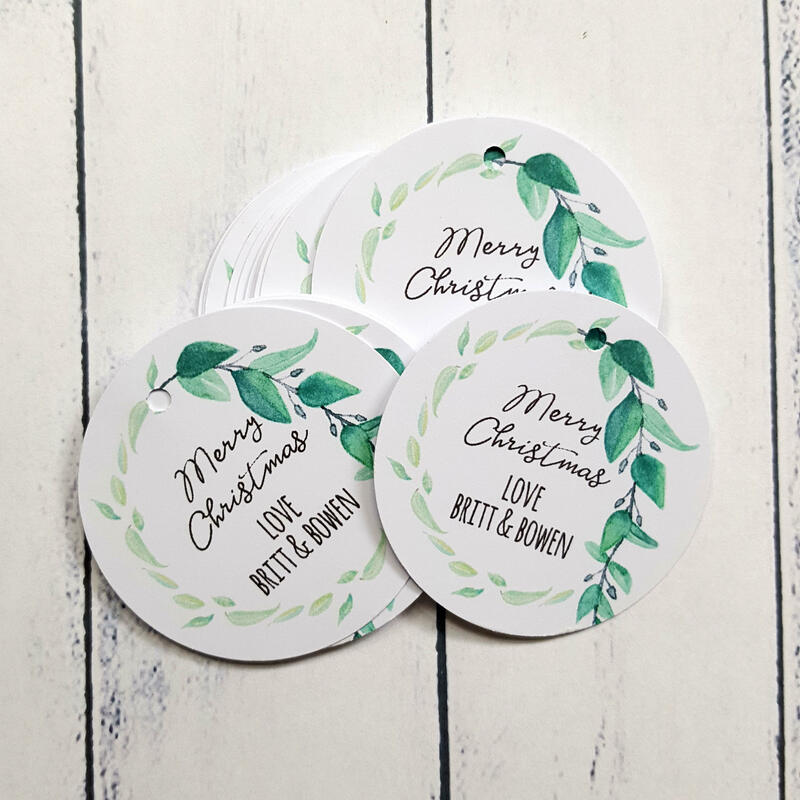 What better way to celebrate the upcoming festive season than with these personalised leaf wreath Merry Christmas tags tied around your gifts. 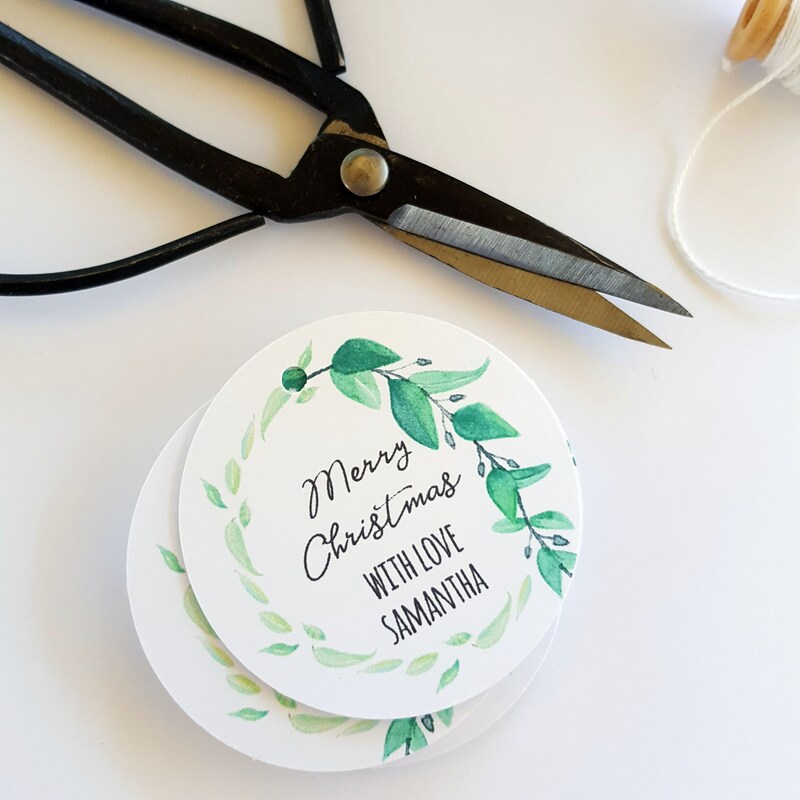 A great way to tell your friends and family how much you love them! 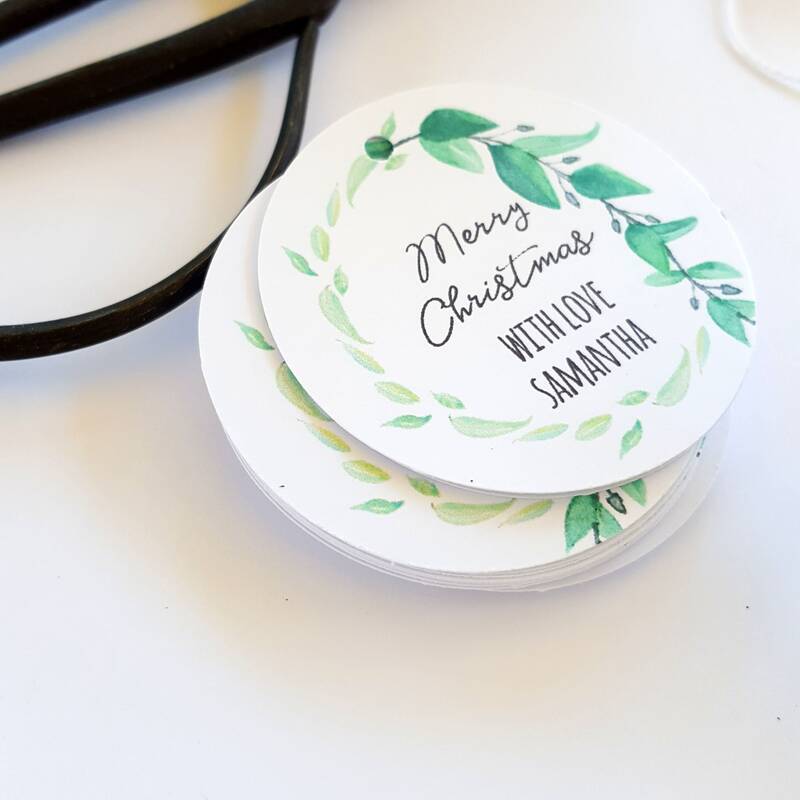 Please note due to the volume of orders I currently have no draft will be sent unless specifically requested. 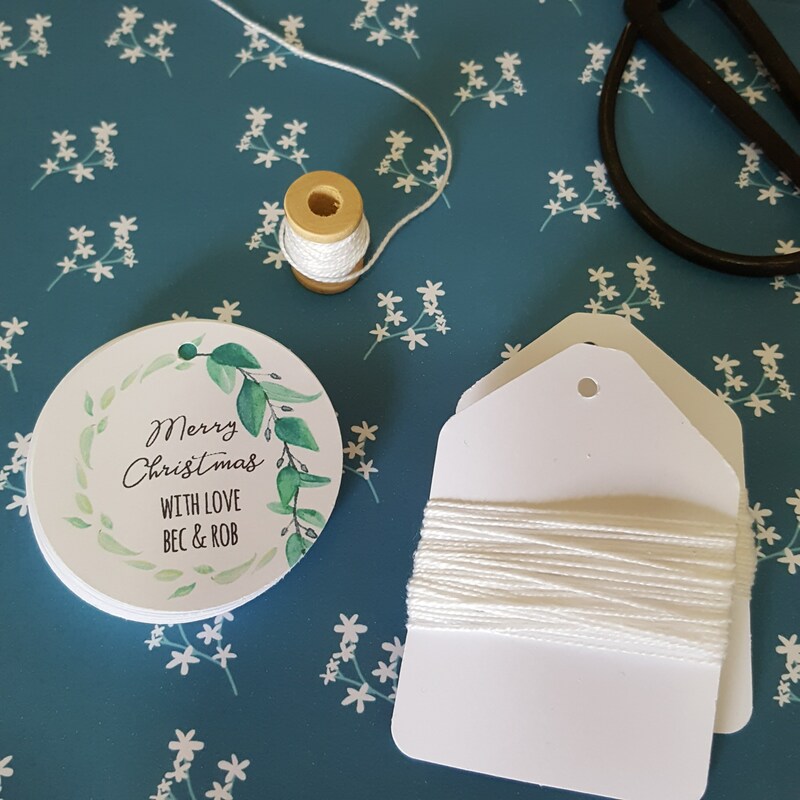 Need more than 12 tags? 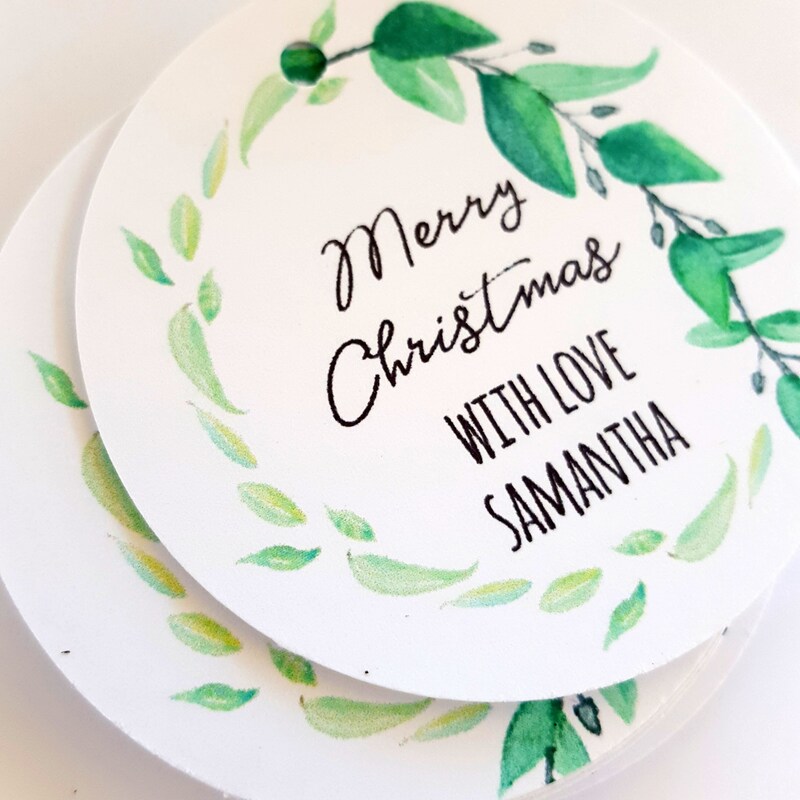 Thank you the design was pretty and exactly what I ordered. 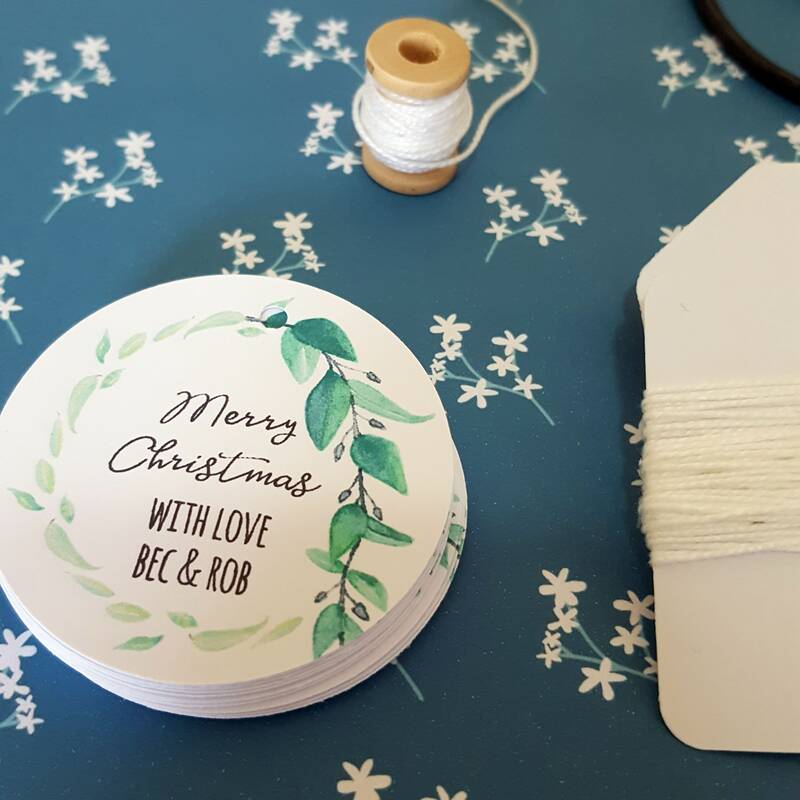 The print quality wasn’t great though, a little blurry but good enough for Christmas gift tags.